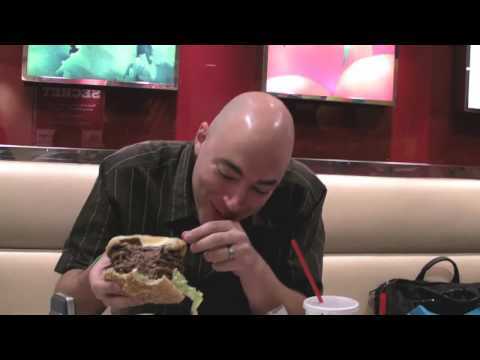 The biggest grossest burgers are usually found in America (see this burger) – now Japan is getting in on the act, albeit with a smaller version, and this time sponsored by Microsoft – the Windows 7 Burger King Whopper. To coincide with the launch of Windows 7 Burger King have teamed up with Microsoft to launch a 7 pattie burger that costs Y777 (US$8.50), and only for 7 hours. I’m pretty sure that special window of opportunity has elapsed so if you missed out on this deal of a lifetime you’ll need to pay around US$18 for the continued privilege. And at 2100 calories that’s all you’ll want to be eating for the day. Check out a couple of videos – firstly a demonstration of trying to eat one on Japanese television, then a couple of Americans demonstrating the insanity of trying to eat this monstrosity. Surely there are better ways of selling an operating system for a computer. Super super super super size me!